#FREE Audiobook Read By Bryan Cranston! I am so excited that my new book arrived in the mail - You Have to F--king Eat by Adam Mansbach. Released last week, this is the sequel to the hilarious Go the F--k to Sleep. This isn't a child's book by any means (profanity with the "F" word) but an adult book that sums up parenting struggles with humor. As a parent struggling right now with a picky eater, can relate!! 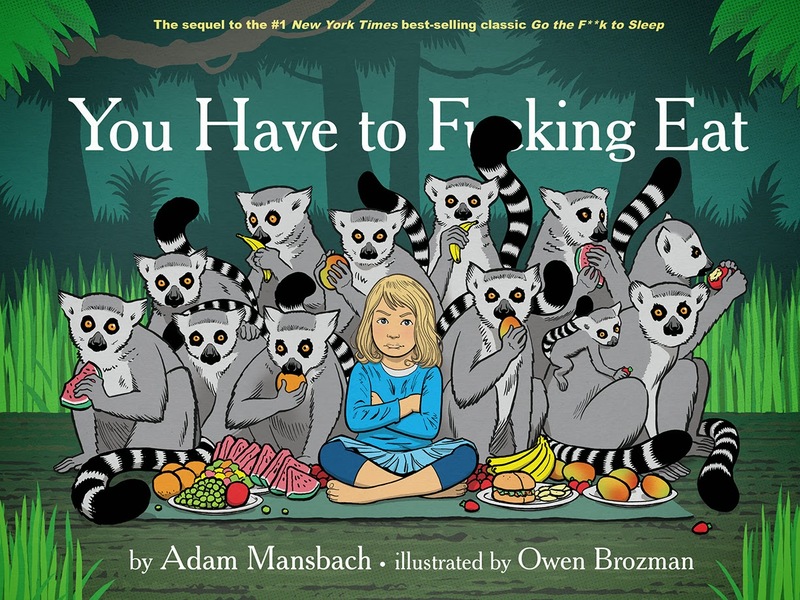 While I prepare my blog post review for You Have to F--king Eat by Adam Mansbach, you can enjoy the audiobook version right now for FREE! It's read by Bryan Cranston (Breaking Bad, Malcom in the Middle) and his performance it awesome (of course)! Just head over to the product page on Audible here (no purchase or subscription necessary), add it to your cart and checkout. Listen online or on a mobile device via Audible's app. The download is available free through 12/12/14.